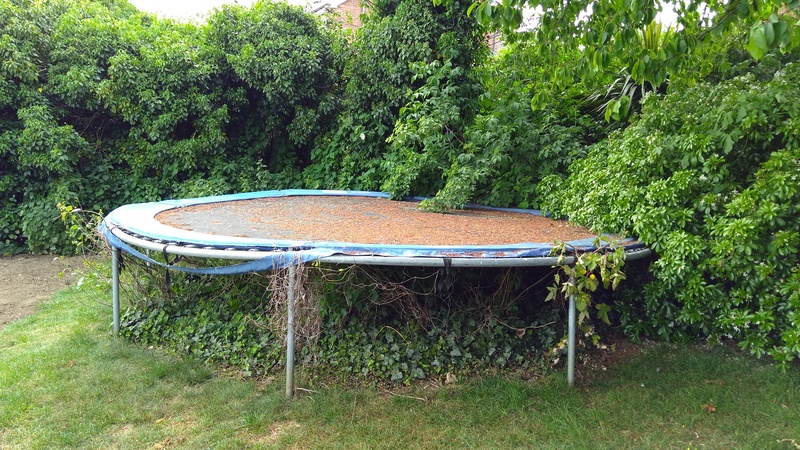 Large (14 ft) round trampoline, “Trampolines GB”. Has been well bounced and lounged on, but now taking up too much space in my back garden. Frame very solidly built (and heavy), perishable bits may need replacing.